What does Sreenath mean, details, origin, short & easy attributes? Sreenath. Show similar names Show variant names. Name Sreenath generally means Lord Vishnu, is of Indian origin, Name Sreenath is a Masculine (or Boy) name. Person with name Sreenath are mainly Hindu by religion. .
Sreenath is baby boy name mainly popular in Hindu religion and its main origin is Hindi. Sreenath name meanings is Lord Vishnu. Sreenath is written in Hindi as श्रीनाथ. Other similar sounding names can be Srinithi, Surnath. Each letter meanings in Sreenath Name. Popular personalities with Sreenath Name. Sreenath Bhasi is an actor, playback singer, and film actor. He was most active from 2011 to present. Sreenath was born on May 29th, 1988 in Palluruthy, Kochi, India. Sreenath was an actor. He was most prominent from 1978 to 2010. Sreenath was given the name Sreenath Thoppil Inchora on August 26th, 1956 in Kuzhur. He passed away on April 23rd, 2010. 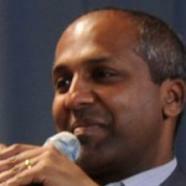 Sreenath Sreenivasan is a chief digital officer at the metropolitan museum of art, metropolitan museum of art, and chief digital officer at themetropolitan museum of art. Sreenath was born on October 28th, 1970 in Tokyo. Sreenath was born on April 8th, 1984 in Bangalore.